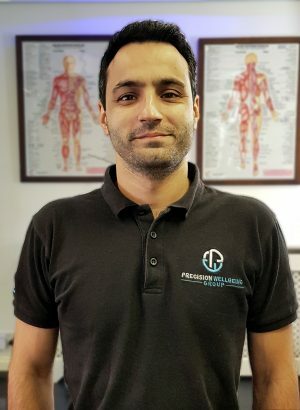 Michael is a multi-disciplined professional with over 10 years’ experience working with and influencing patient health, pain and lifestyle choices. As a qualified Osteopath, Michael adds extensive knowledge of biomechanics, sports injuries and rehabilitation to build an integrated approach to treatment, whilst keeping the patient involved in their own recovery. As well as working as part of an elite team responsible for the musculoskeletal health of Dorset Fire and Rescue Service employees, Michael is an experienced lecturer and teacher having taught both in the UK and internationally. He specialises in, lecturing and mentoring on the subjects of Sports Therapy, Biomechanics and Musculoskeletal Rehabilitation and more recently, lecturing for masters level Osteopathy students at the Italian College of Osteopathic Medicine. Michael strives to provide a dedicated and professional service that is tailored to his patients’ individual requirements and communicates clearly to ensure his patients understand the cause of their pain and how commitment to a realistic treatment plan can aid success.